Walk to the beach! 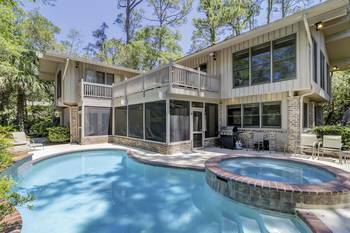 Located in Palmetto Dunes Resort with world class amenities. 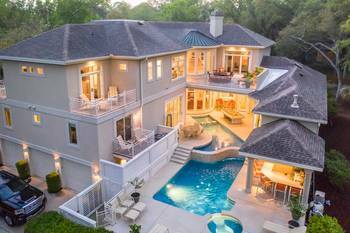 What a wonderful 4 BR home to sleep 14 people. 2 Kings 3 Queens 2 Twins and Foldout couch. Granite Counters in living room. Fully stocked kitchen. Screened in porch. Nice living room and great big bedroom for the kids to all sleep in. Flat screen TVs everywhere to relax after a long day at the beach. 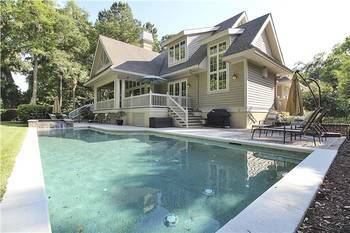 Sit in the screen porch with your favorite glass of wine or a book and relax on vacation. 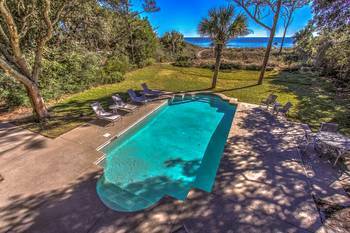 Great beach house for a family wanting to walk to the beach and enjoy a vacation in Hilton Head. 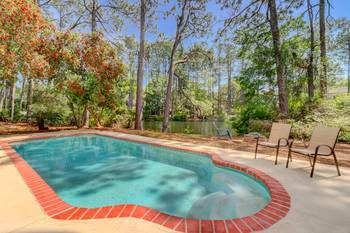 Nice three bedroom home with two full baths and private pool. 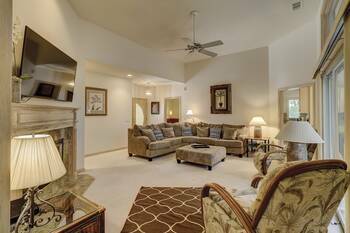 Living Room, family room, den and dining area give you plenty of room to relax and unwind. 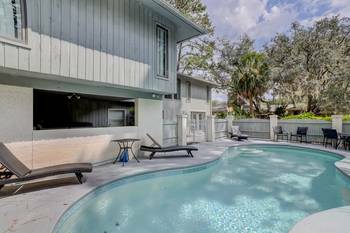 Easy beach access and can bike to Coligny Shops and restaurants. 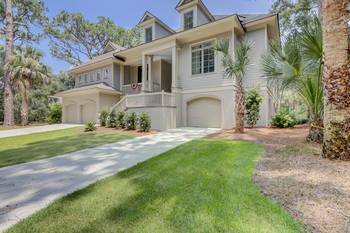 Only seconds to back gate of Sea Pines with golf courses, restaurants and shops. Brand new deck around the pool in 2019. 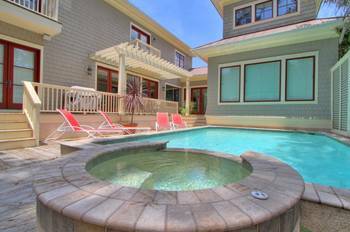 6 BR 6.5 BA Oceanfront Private Sea Pines home with Private Oceanfront Pool. Family vacations and Golf Packages Available. Sleeps 12 people. 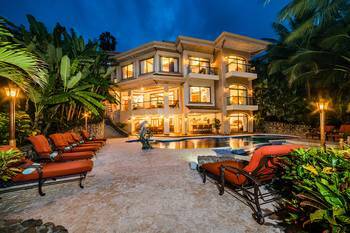 Direct ocean views with six large bedrooms and two living rooms. Great covered veranda with spectacular ocean views. Two master suites with oversize kitchen. Open kitchen looks out to the ocean. Enjoy the views while preparing dinner for the family.